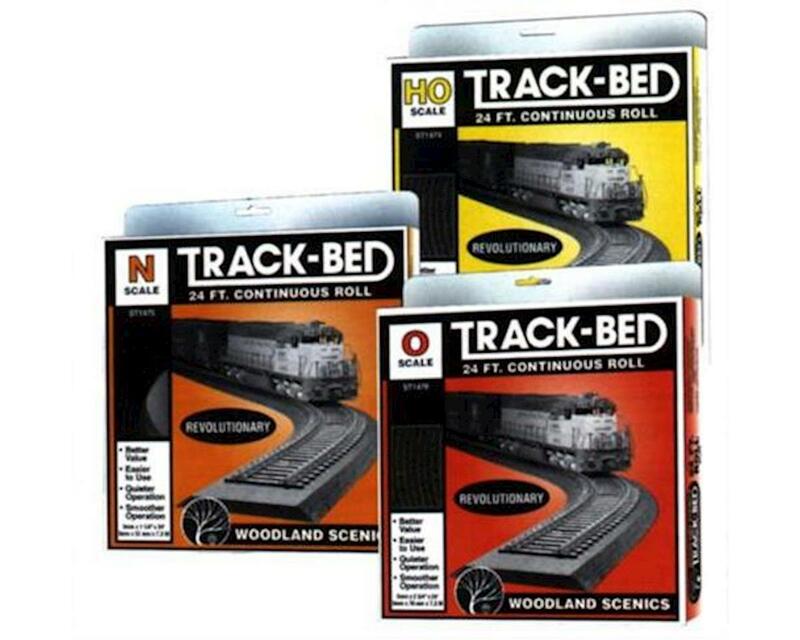 This Track-Bed Roll is 5mm x 1 3/4" x 24'. It offers a smooth, almost seamless application. Track-Bed requires no pre-soaking like cork does: it remains flexible and won’t dry out or become brittle! It aligns well with cork or Homasote applications. Install Track-Bed with Foam Tack Glue (ST1444). Pin in place with Foam Nails (ST1432).